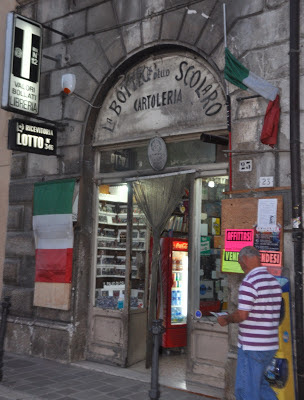 Italy is full of marvels hidden in plain sight. Beautiful and Inspiring… Funny and Disconcerting… Glorious and Silly… Every new day brings shocks of recognition. Can I share some of these with you? 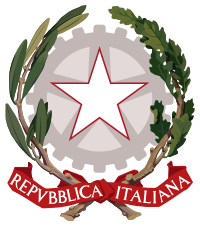 "Why is there a Communist symbol on the seal of the Italian Republic?" That was a recent question from a friend on the internet. The overlay is certainly striking - a five-pointed star (outlined in red) on a cogged wheel (means of production?) 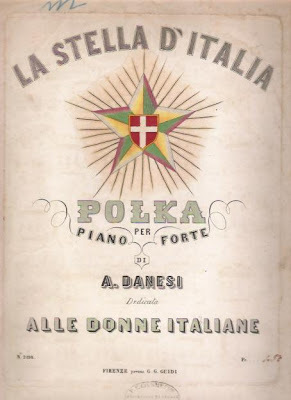 But in fact, the Stella d'Italia is far older, "the most ancient identity symbol of the Italian land", predating Karl Marx by several millenia. The emblem did not emerge in a big way until the Risorgimento (the nationalist movement that gave rise to the Italian state a hundred and fifty years ago). House of Savoy imposed on a radiating star. Then, there was a proliferation of star names, star allusions and star motifs. 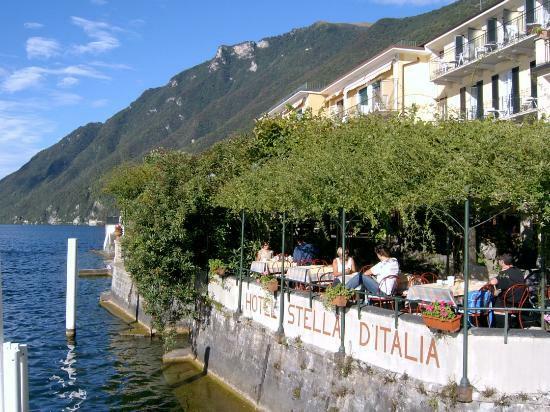 In small towns across Italy, we still encounter quaint hotels, restaurants and cafes - proclaiming a single guiding light for a very diverse new country. On Lake Lugano, within sight of Switzerland. 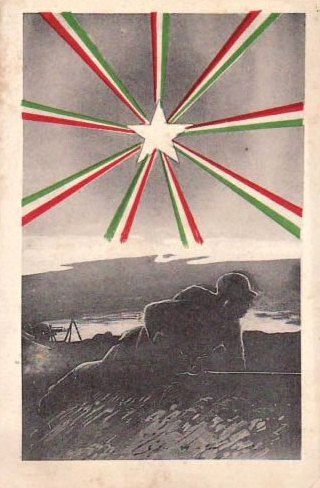 A postcard from World War I. The star occurred in strange and varied contexts, often as a potent quasi-mystical symbol. 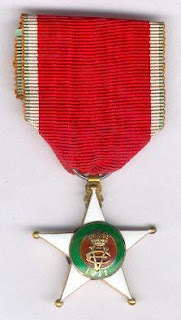 And in 1914, the Colonial Order of the Star of Italy was founded, to honor meritorious service in the Italian Colonies -characteristically awarded to native collaborators. Colonial Star, with the royal crown, the initials of King Vittorio Emmanuele and the date of 1911 (the Italian invasion of Tripoli). Only in 1948, however, did the star become the national ur symbol - with the proclamation of the Italian Republic and an intense wave of political rebranding. 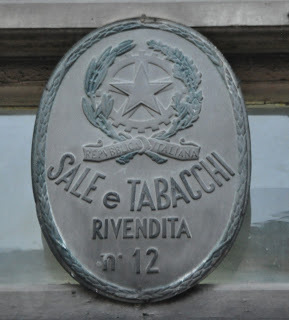 Since 1861, the Kingdom of Italy had lurched through a long series of visually congested coats of arms - heraldic mash-ups referencing the royal house of Savoy. 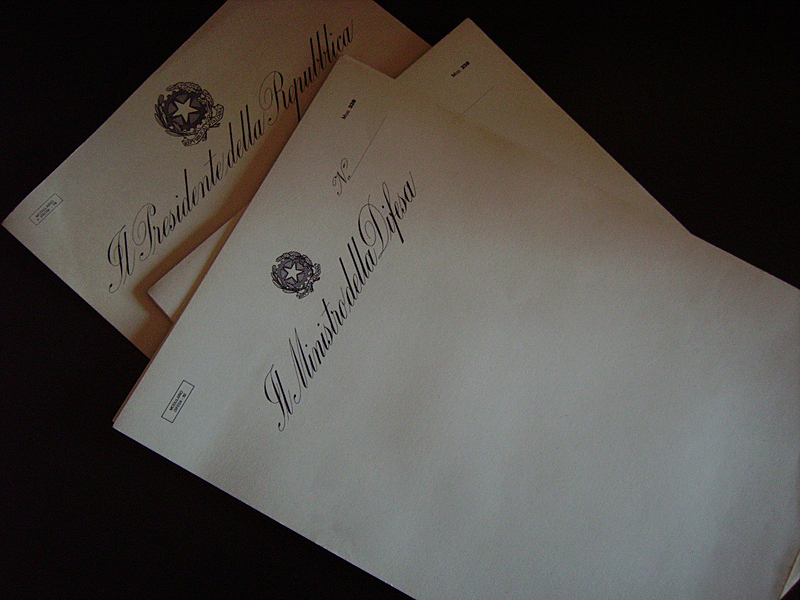 (Left) The arms of Italy (1929-44), featuring the Cross of Savoy supported by two fasces, and (right) the short-lived post-Mussolini version (1944-48). The new emblem was a marvel of optimistic clarity: star (unity), cogwheel (collective effort), olive branch (Southern abundance), oak branch (Northern strength). and the Ministry of Defense. Whatever its ultimate meaning, the Stellone (Big Star), quickly became associated with three concepts - almost certainly in this order: (1) places where you can buy cigarettes, postage stamps and lottery tickets (the star appears on tax stamps and the signs of licensed retailers), (2) government bureaucracy (it appears at the top of countless bewildering forms), and (3) government officiousness (it appears on virtually all letterheads and proclamations). 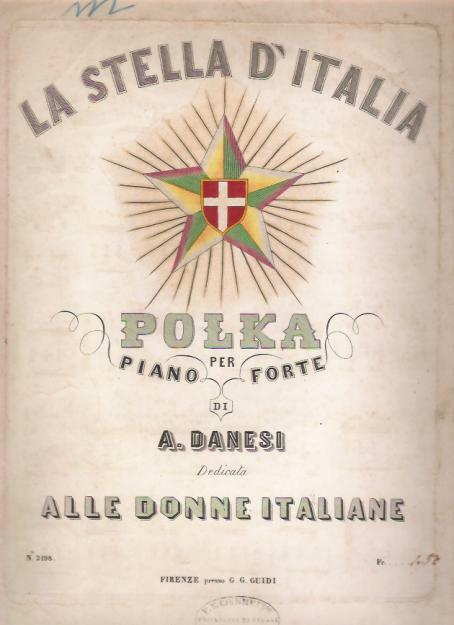 Stars of Italy and two flags. In small towns like Celano, in the southeastern region of the Abruzzo, the Stellone retains its elemental force - in a land where "unity" has never been taken for granted. The Shop of the Schoolkid, with passerby. 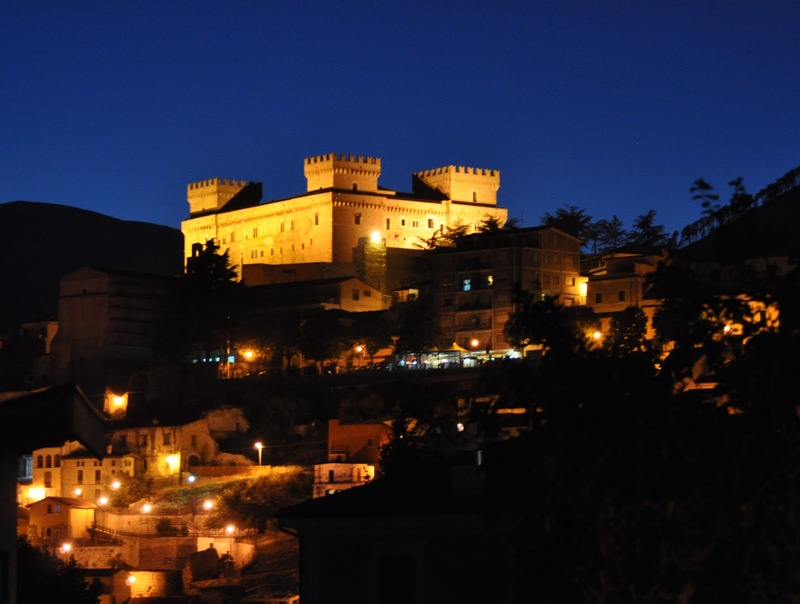 Celano (Abruzzo) at night with its massive Castle. This is a very beautiful place to live in, I guess. I just wonder how high the cost of living and the tax there is. I think a lot of people would like to settle in Italy. On the subject of 'stars' in Italy. My partner is Chinese and whenever his mother calls from overseas he gets reminded - to his eternal despair! - whether his house, belongings etc are in accordance with Chinese Fengshui for that year. Now one of the things he is especially suppose to "worry" about is where the Duke of Jupiter is located astrologically speaking. The Duke is suppose to be some astrological head-honcho who will zap you if your beds facing the wrong direction etc..
As a person who reads a lot of early-modern Italian art history, my ears pricked up at this name.I immediately thought of Galileo Galilei naming the 'stars' - moons of Jupiter after Duke Cosimo II. I'm aware that when the Jesuits entered China this coincided with a renaissance in astronomy their. I don't know if this was due to the Jesuits themselves or just coincidental. My query is this - could Chinese fengshui have been influenced by the astronomy and astrology occurring in the courts and universities of Italy at that time and has any correlation been found? 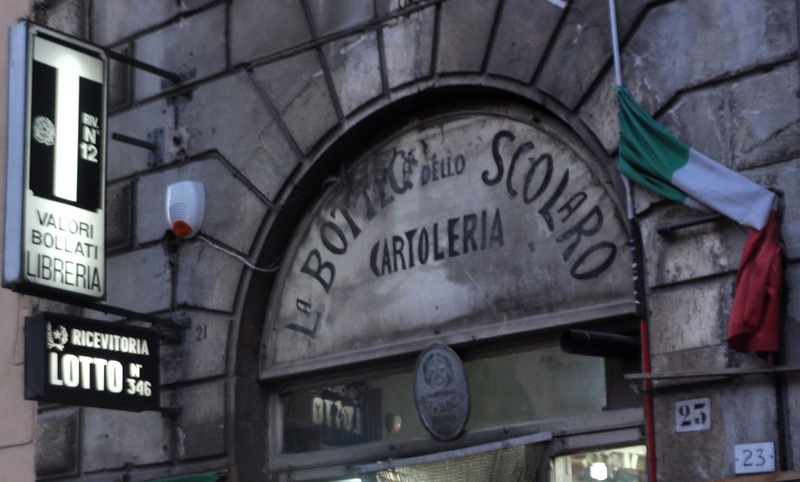 Ciao, Pasquino (talking about witty posts...pasquinate!) Actually, I am very interested in astrology in and around the Medici court. Galileo, Morandi, Gualterotti--and many other lesser known figures, including Benedetto Blanis, the protagonist of my recent book, "Jews and Magic in Medici Florence". This heightened interest in astrology occurring in both the west and the east at the same time is certainly intriguing. Like you, I wonder if there were perhaps overlapping attitudes and practices. There were certainly strains of the Muslim occult that were entering Europe, often through the Jewish connection. And there were certainly old and established connections between the Muslim sphere and China. I really wish that I knew more about this--but I don't! Thanks Edward, fascinating. I must read your book! Edward Goldberg is an art historian, an archival sleuth and a long-time resident of Florence. Along the way, he achieved a PhD at Oxford, taught at Harvard, founded the Medici Archive Project (MAP) and published many articles and books. 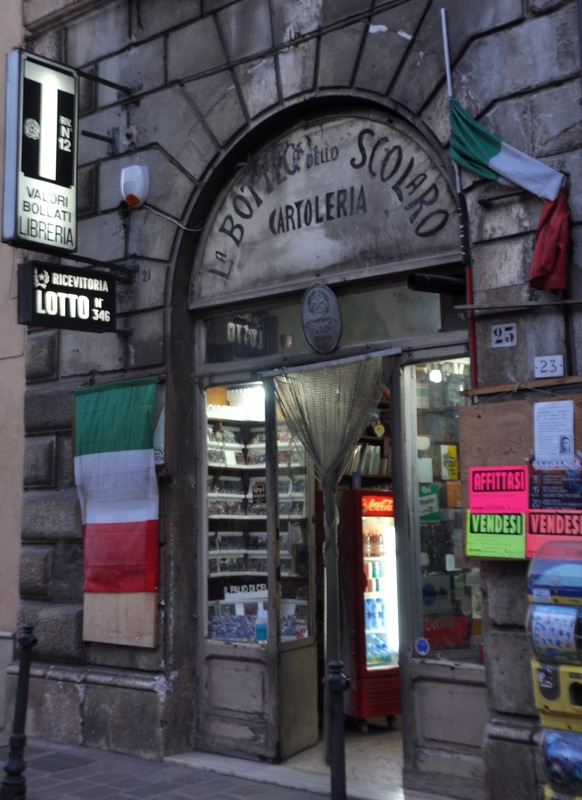 These include Patterns in Late Medici Art Patronage (Princeton, 1983), After Vasari: History, Art and Patronage in Late Medici Florence (Princeton, 1988) and—most recently—Jews and Magic in Medici Florence: The Secret World of Benedetto Blanis (Toronto, 2011) and A Jew at the Medici Court: The Letters of Benedetto Blanis 'Hebreo', 1615-1621 (Toronto, 2011).